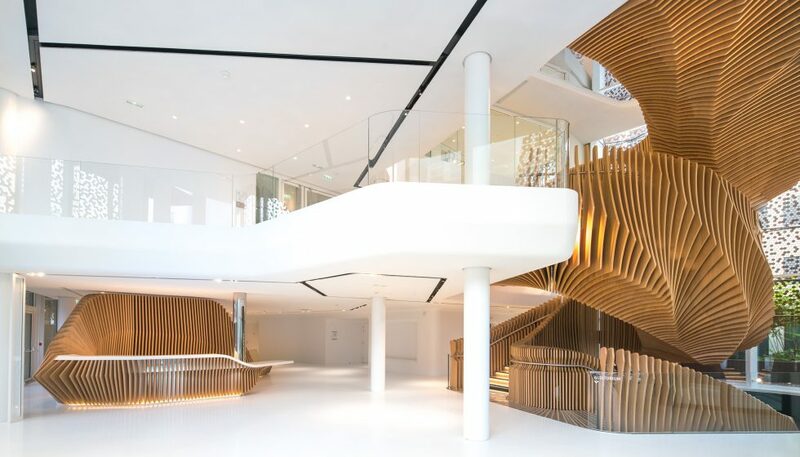 Ora Ito has designed new offices for LVMH’s media division that is home to Le Parisien and Les Echos at 10 Grenelle in the 15th district of Paris. 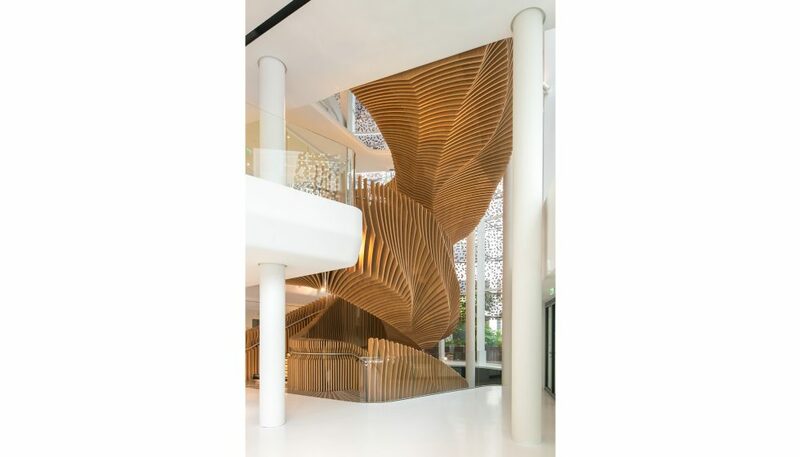 This bright unit spans 4 floors and is penetrated by a soaring, stunning staircase. 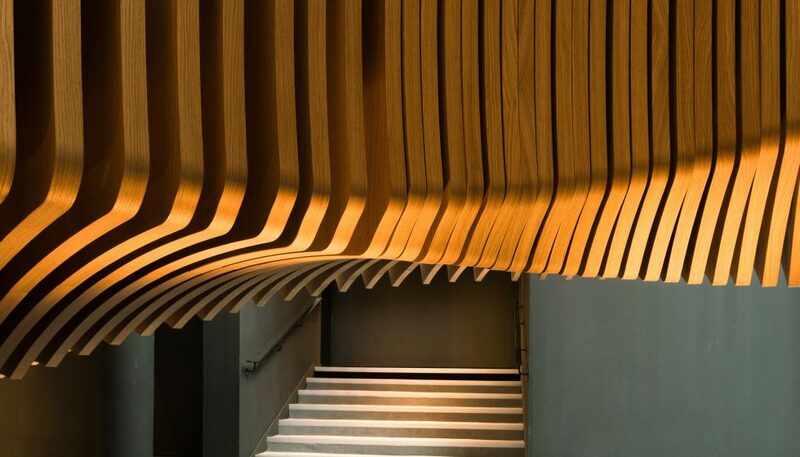 An undoubtedly eye-catching parametric sculpture with a biomorphic structure, like a tornado in a mindfully serene office environment. 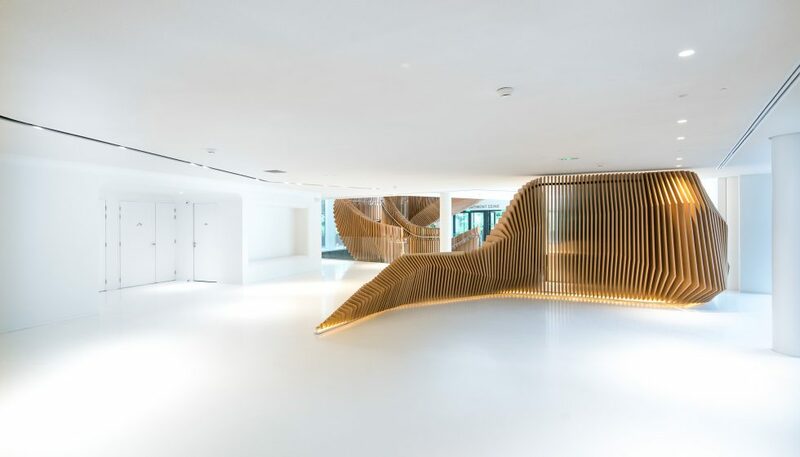 Ora Ito also designed the communal areas of the entire 10 Grenelle real-estate project, extending over more than 30,000 m2 and encompassing 30 levels including the unit dedicated to LVMH’s media division. 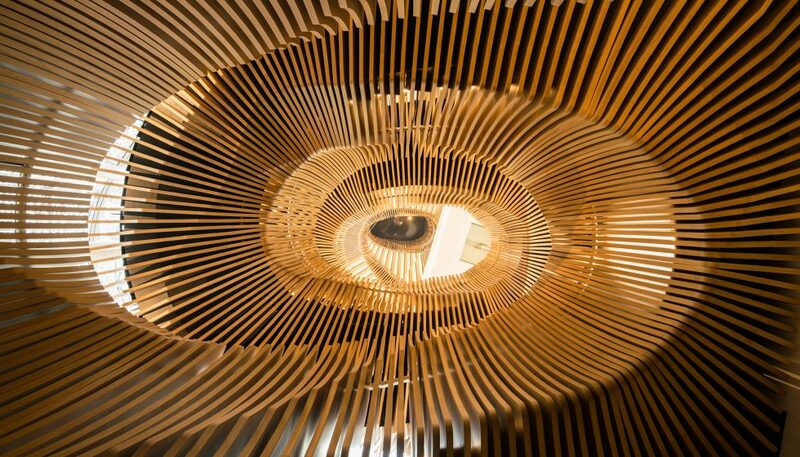 While the Yooma Hotel, produced in collaboration with Daniel Buren, opened before the summer and the completely revamped architecture of the new Pathé Wepler will be revealed shortly to Parisians, Ora Ito upholds a rare 360-degree urban perspective through his different scales of intervention.